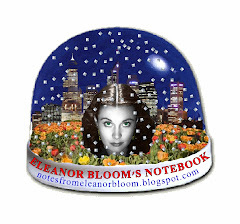 notes from eleanor bloom: Security! A Senate committee has heard the Royal Australian Navy is struggling with staff shortages, contract disputes and malfunctioning equipment. The Navy is relying on other nations to provide rescue services* should one of its submarines falter. Rear Admiral Boyd Robinson says safety is not being compromised. "We've made arrangements for an overseas rescue vehicle under contract - it's in the UK," he said. Rear Admiral Robinson assured the committee it can be mobilised quickly. The contractual dispute, which has forced the navy to send some submariners to Canada for training, has also exacerbated a staffing shortage. The navy needs 662 submariners, but it only has 429. Liberal Senator David Johnston has criticised the situation. "So we're at two thirds strength, on an objective assessment," he said. The Chief of the Navy, Vice Admiral Russ Crane, has conceded it is not an ideal situation. Yeah. Not entirely 'ideal' seeing as all our borders are water. Additionally, in WA our police minister has thought it a good idea to go without a counter terrorism unit providing security for our North West Shelf. * Not always a good thing.